The guide Anna was very interesting. My confirmation noted under “What’s Included: entry/admission - University Church of St Mary the Virgin; entry/admission- Radcliffe Camera.” We did not enter either. Also, having been advised to arrive 10 minutes early, we then had to wait unti 11:05 for 2 people who never showed up. Our guide Jo was quite knowledgeable and entertaining, it was almost as if we were "live" in a really well made documentary about Oxford! Lots of insider information, and she was able to answer every question we had! Definitely the best way to explore Oxford. We are a family of four with a 15 year old and a 10 year old and everyone definitely enjoyed the tour. Definitely a memorable experience and I would say the Jo has been the best tour guide we've ever had! This tour was incredibly informative and interesting! Our tour guide, Trevor, was very knowledgeable and patient in answering all of our questions. The tour touched on C.S. Lewis and J.R.R. Tolkien, which we found very interesting being Narnia and LOTR fans. The history of Oxford was laid out very coherently and logically. 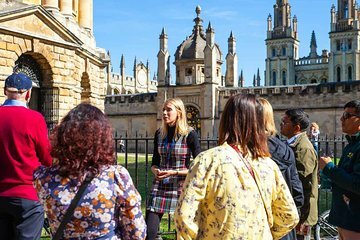 We would definitely recommend this tour for anyone interested in having a deeper understanding of Oxford university and town. Our tour guide Tim was excellent. He knew so much about the history of the town and colleges. Very interesting - lots of information with a humoristic notes. Really interesting tour. Highly recommend. The tour guide Jack, was very good. 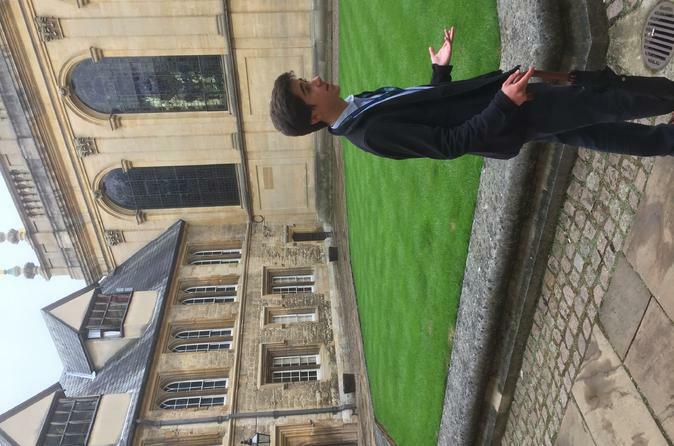 He knew a lot of interesting facts concerning the colleges and was able to answer our questions.Would highly recommend him as a tour guide for any tour in Oxford. At first it was very confusing about the meeting points. There were several tours at the same time. Oxford was packed with tourists. There seemed to be some free tours. I was glad to join this one to pay for a good quality tour student tour guide as well as smaller group. I found the stories fascinating about Oxford history, as well as the students daily life, how to get in etc. Our tour guide was a law student who did an excellent job. I loved the walking tour with THEO. I wonder if it's possible to leave him a tip somewhere? As an Oxford Alum, he added much context to the tour, was attuned to the tourists and gave us a wonderfully informed walk. I felt much more knowledgeable about the city and spent the rest of the day wondering thought sites he suggested as we walked. HIGHLY recommend - got much more than I expected for the money. Enjoyable tour with knowledgeable and enthusiastic guide - lots of incredible history. Note, that the tour guide is reliant on tips from the attendees - so please be prepared to pay the guide. Very interesting experience. Our guide was very good.